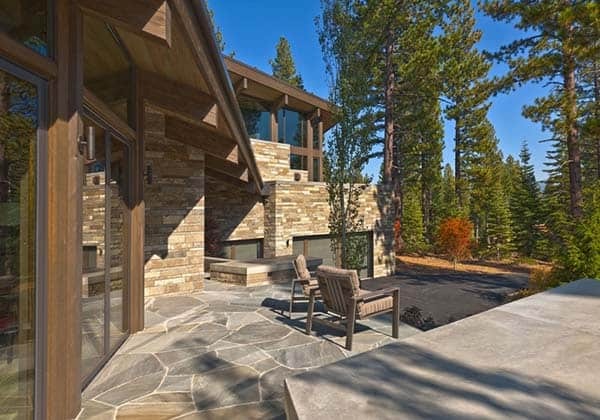 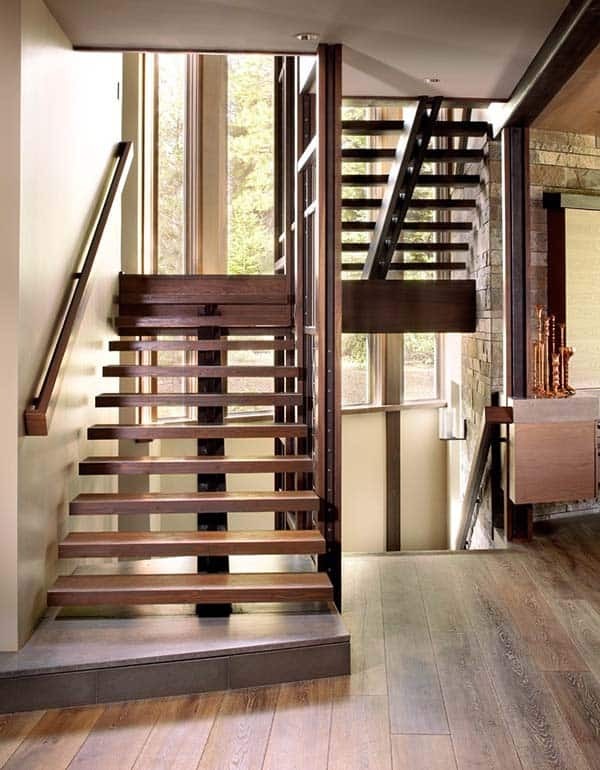 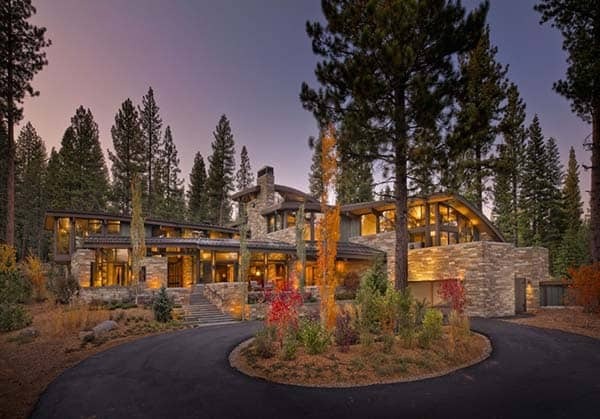 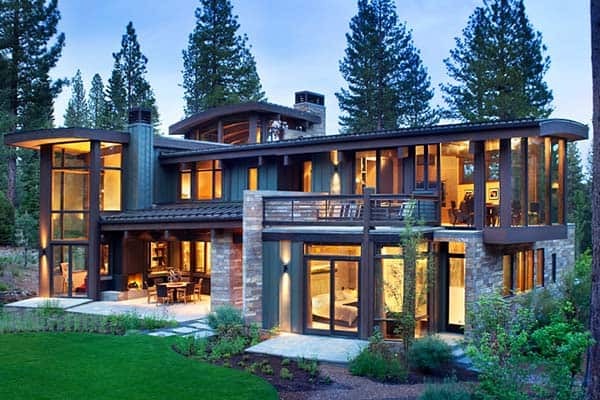 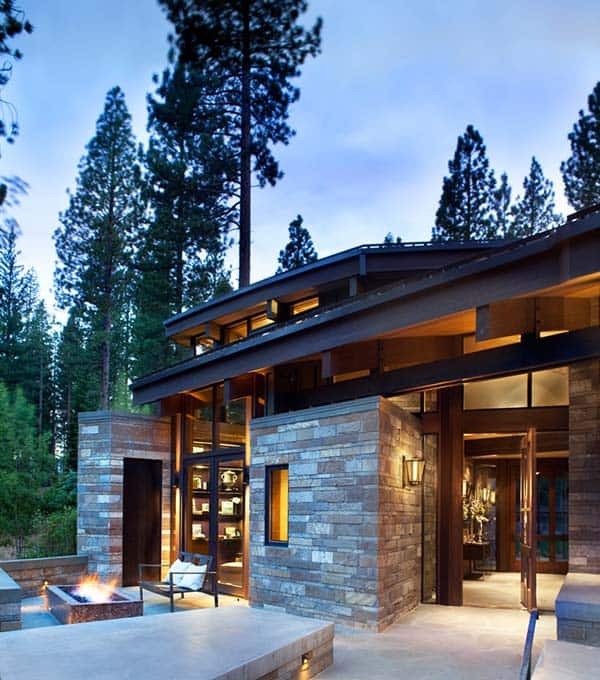 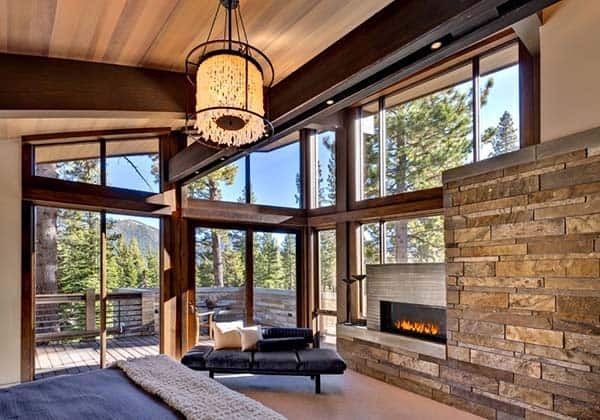 Valhalla Residence is a modern rustic dwelling that has been recently completed by RKD Architects, nestled on a forest site high in the Sierra Mountains, Truckee, California. 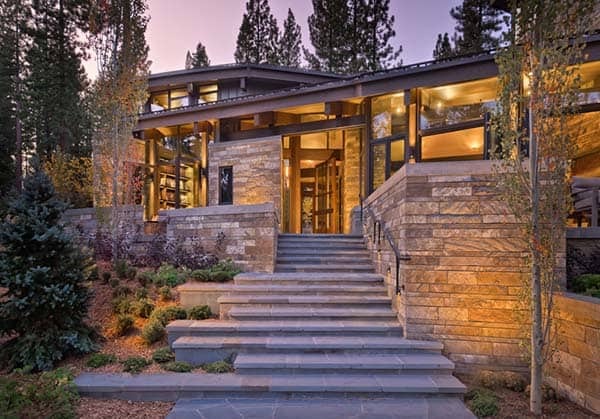 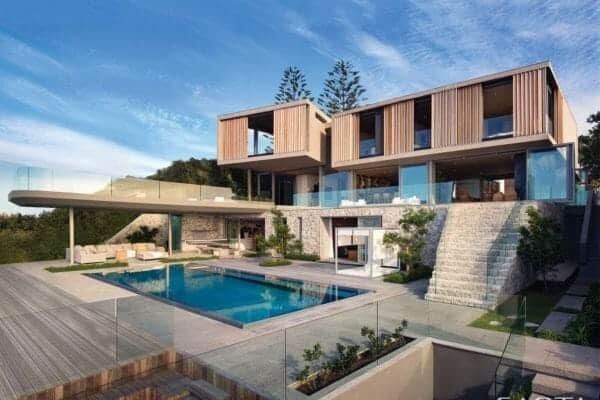 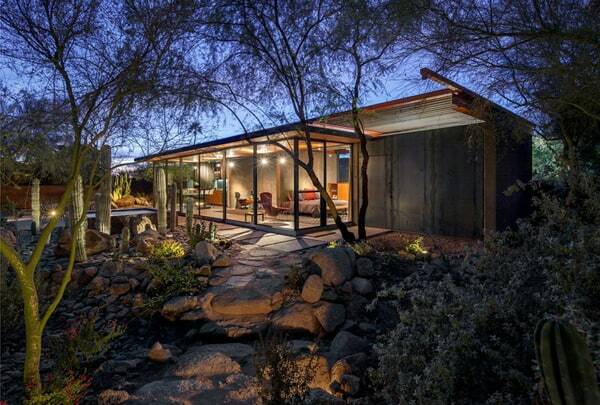 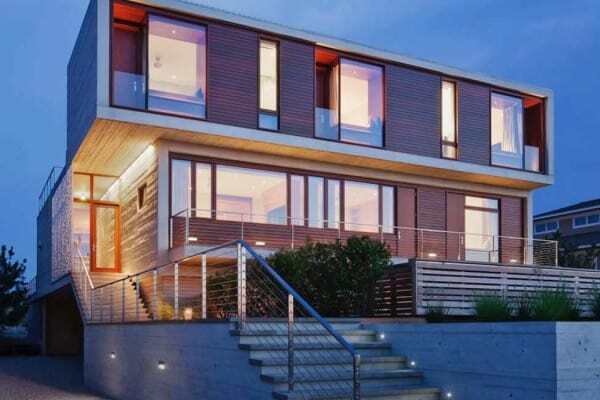 The design of the home encourages drawing the outdoors in by using transparent window walls amidst stone forms. 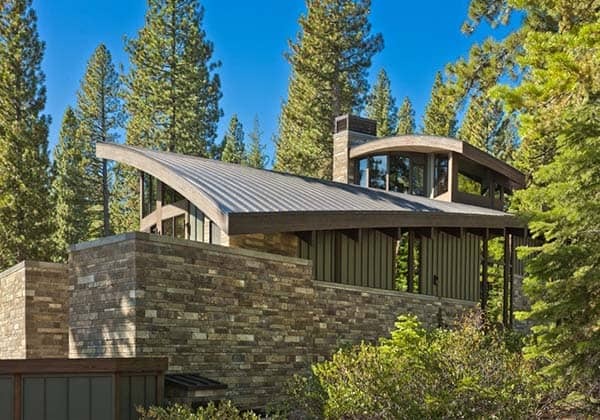 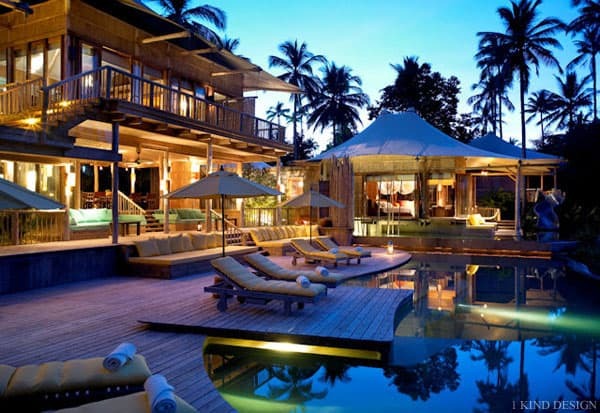 The metal roof form is barrel vaulted and reinforced by a steel and timber exposed structure. 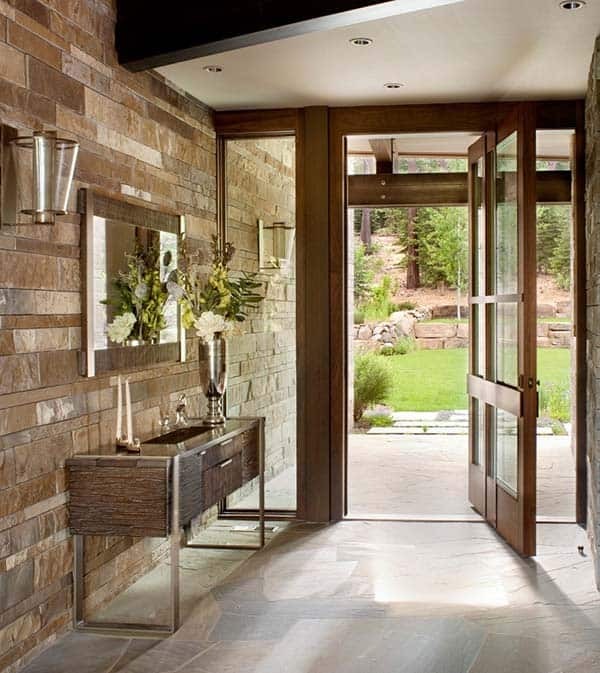 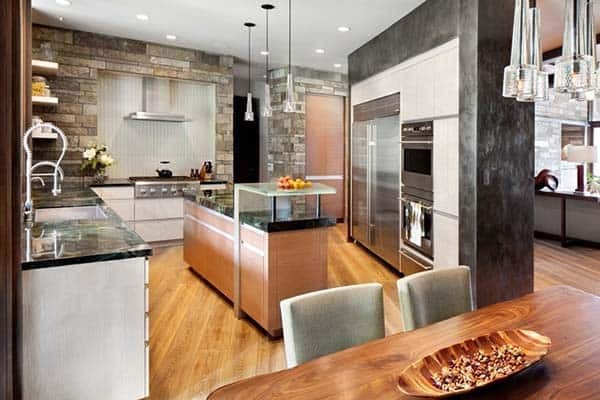 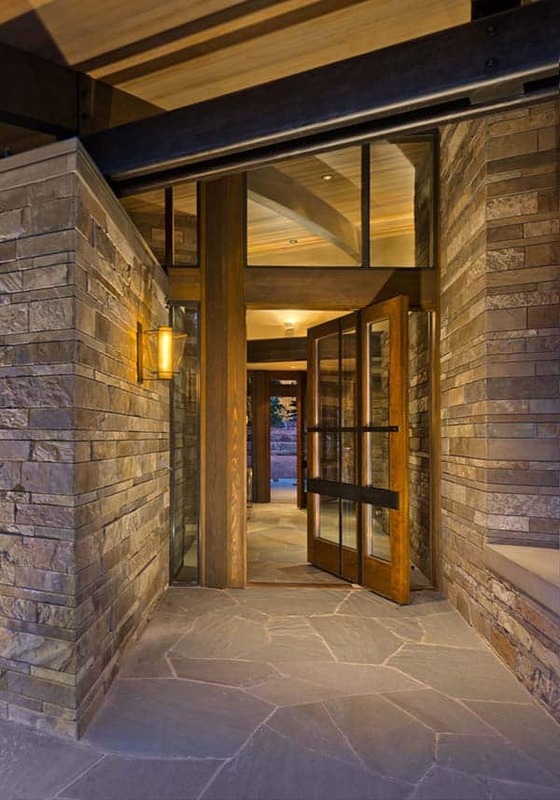 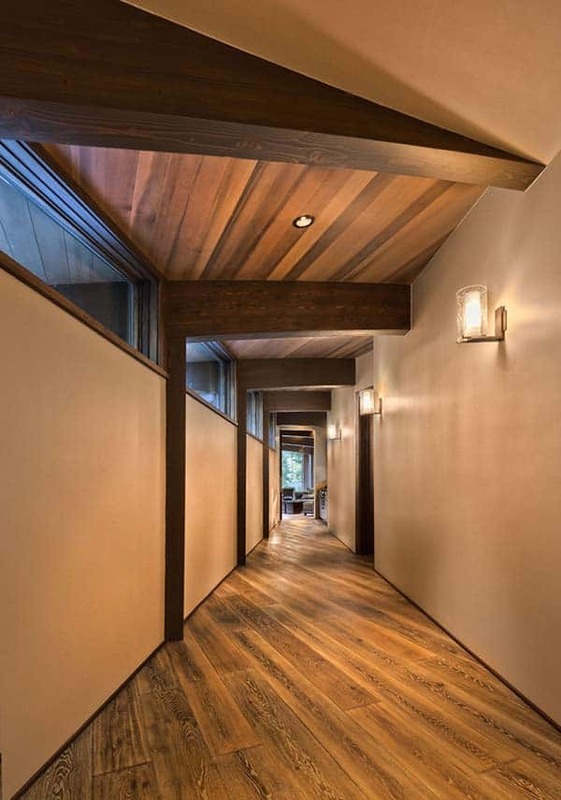 An entryway into this sensational home features a beautiful wood and glass door that pivots between two stone wedges which travels from the front porch all the way out to the back porch. 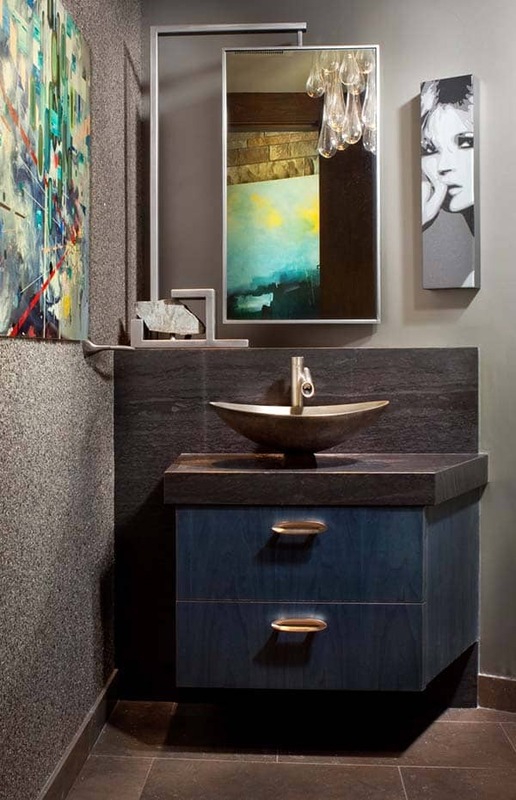 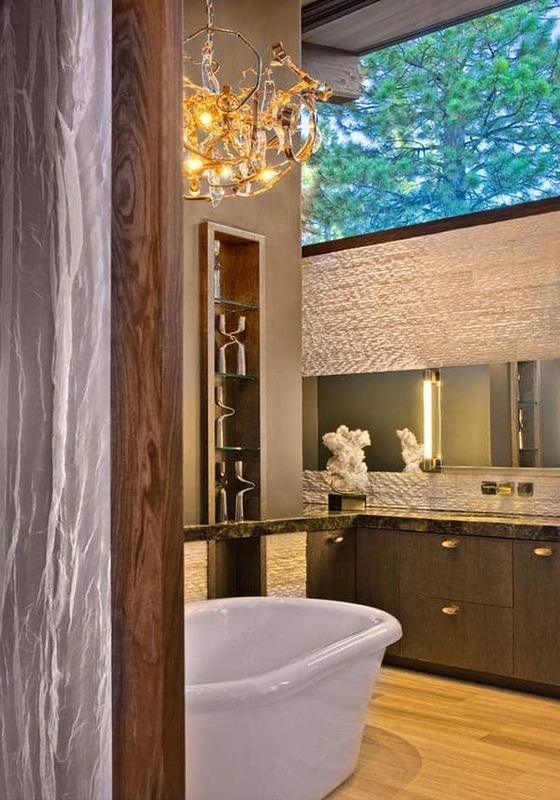 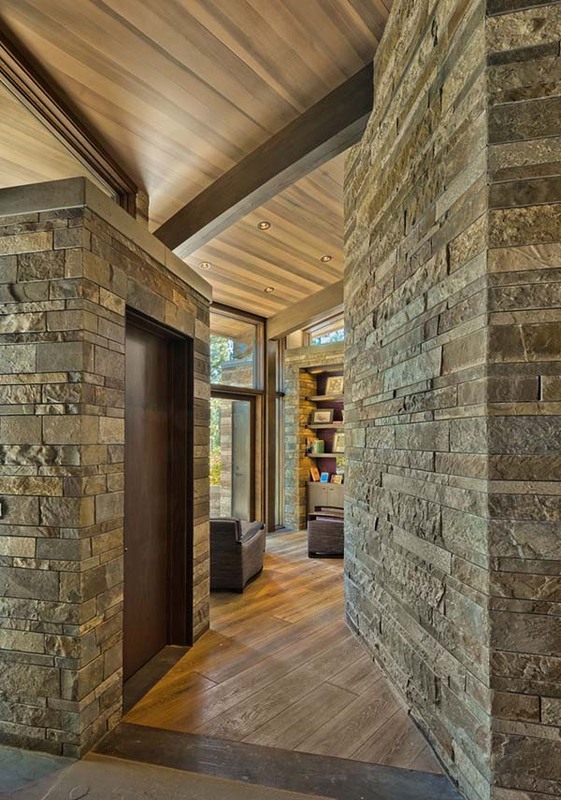 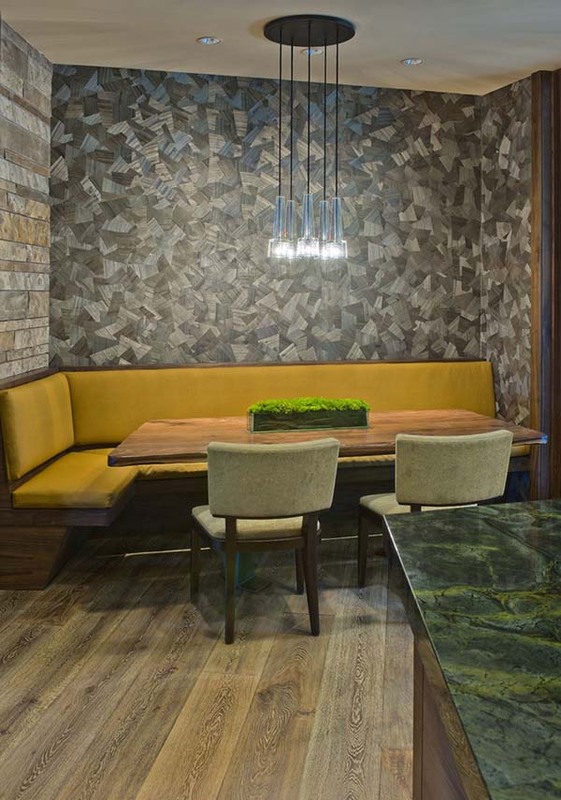 Entering into the rooms of the home is through these beautiful stone forms. 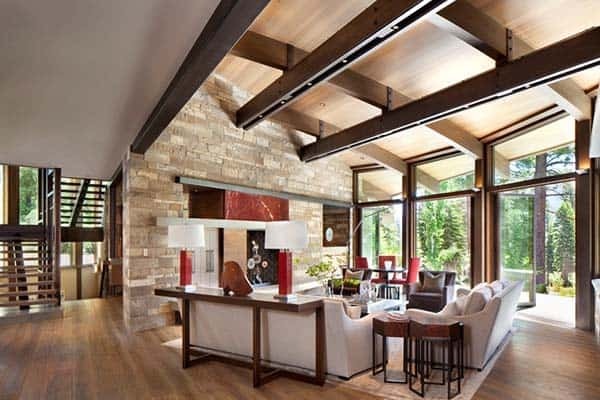 The living room features steel beams that supports an arched wood structure. 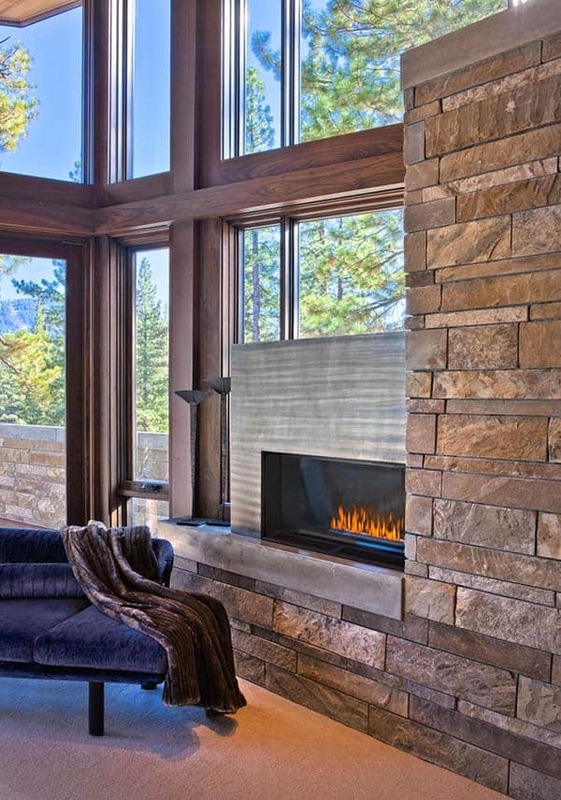 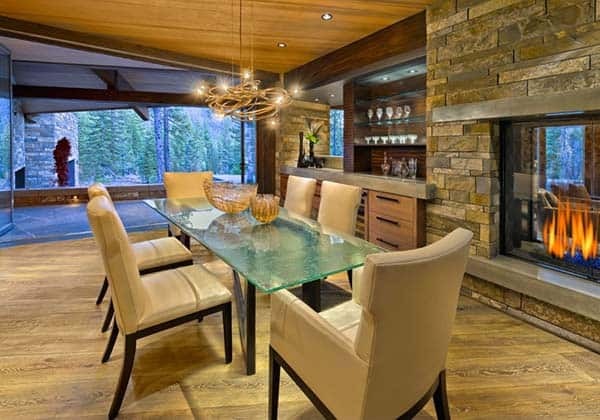 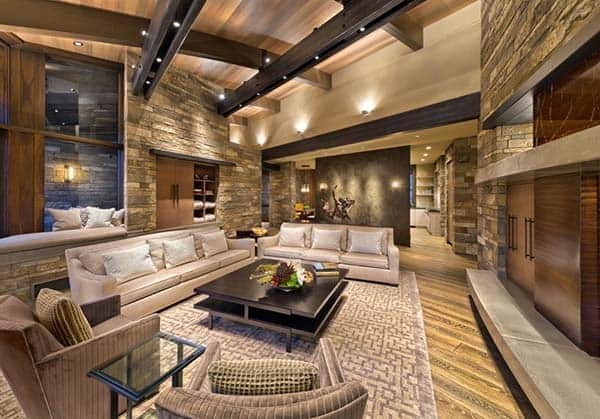 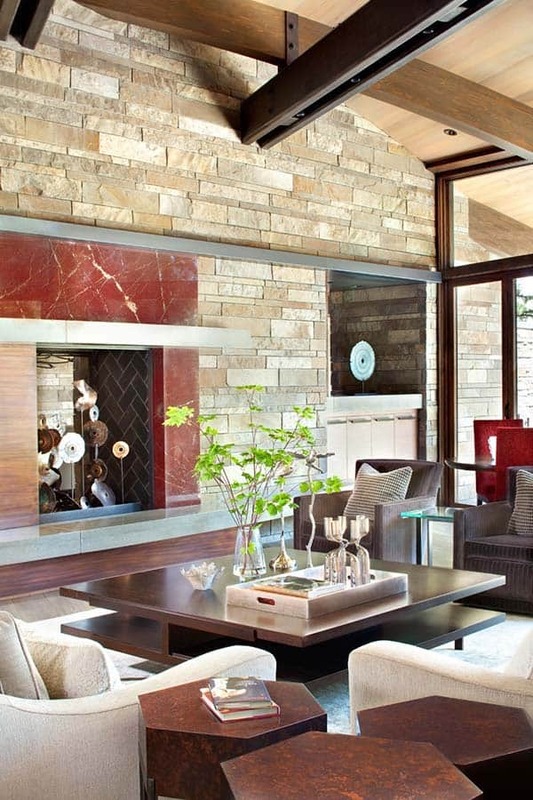 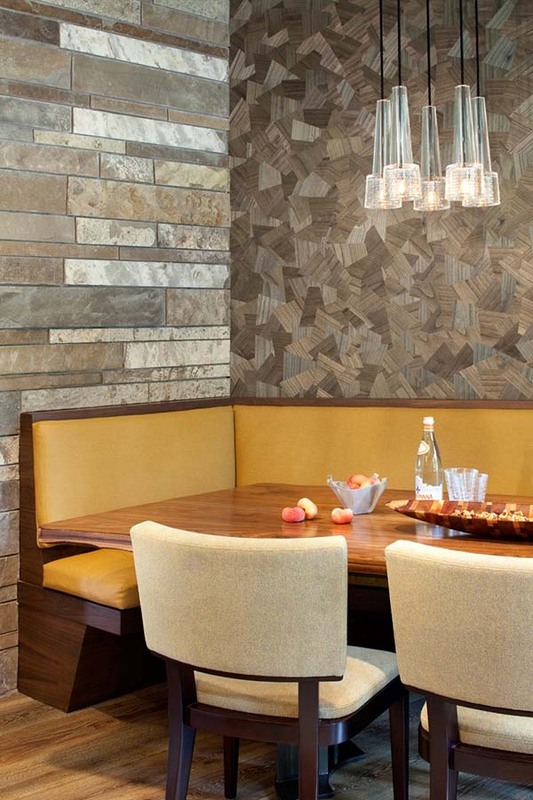 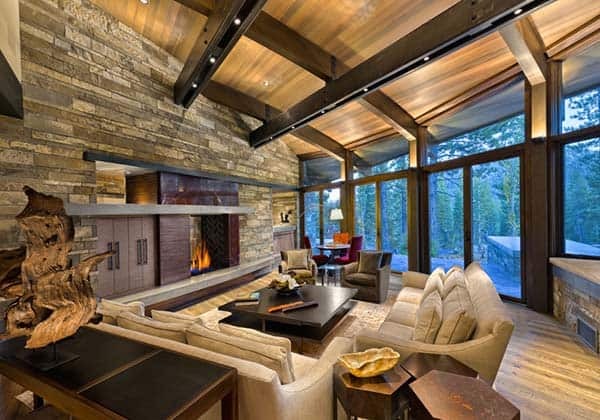 A wall of stacked stone creates a beautiful focal point to the space, encompassing a stunning fireplace. 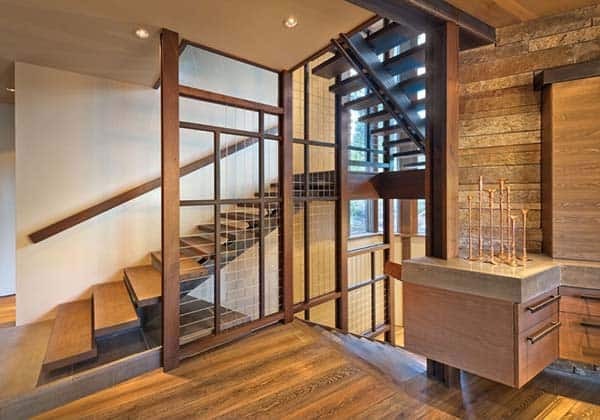 The master bedroom retreat features steel supports to form an arched arched wood structure. 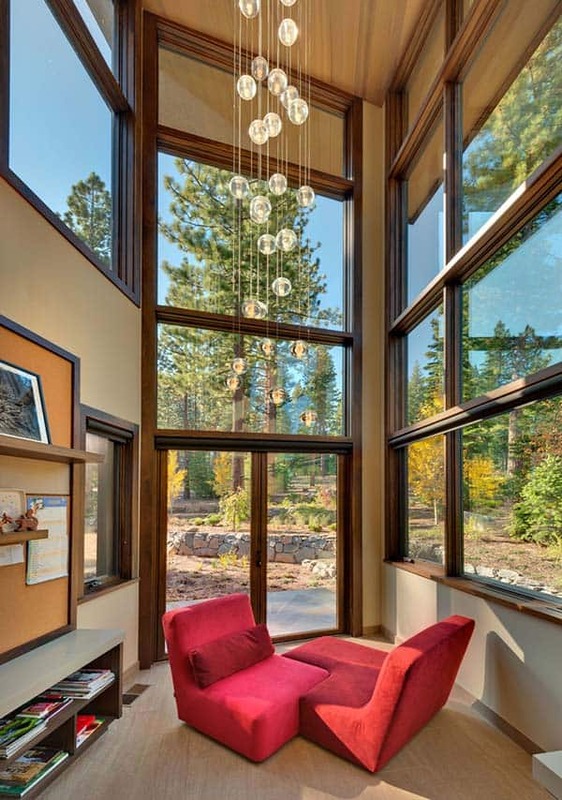 Expansive floor-to-ceiling windows brings in natural light and forested views. 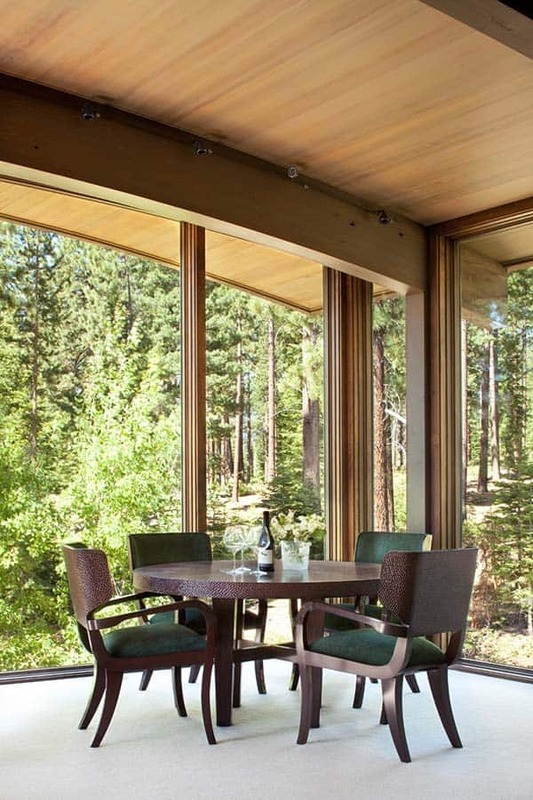 A sliding glass doors leads out to a private deck.